This is a new favorite! Only a few pies tickle my fancy and this is one of them. This all came about when I had an excessive amount of oranges wanting to sit in my fridge for a couple of weeks. When I started thinking about making this pie, it had only been a week. It takes me a while to perfect my recipes so, a week had passed before I got the perfect pie. Thank goodness I got it right this time since I had wittled my stock pile down to barely anything. The pie crust, which is my mom’s recipe, is so flaky. The orange curd is really fluffy and almost has a mousse texture. The curd has the perfect pop of citrus. Its a sweet, but tart flavor that will leave you wanting more. 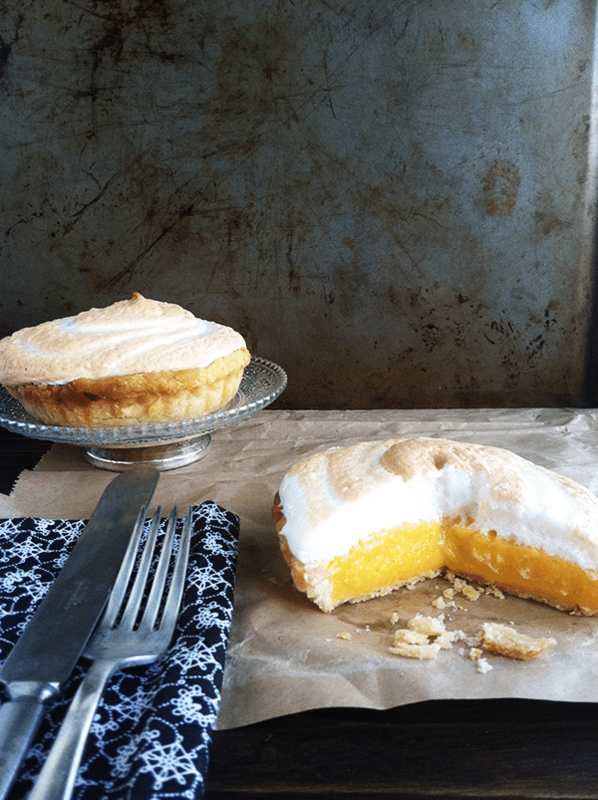 The meringue is a smooth texture that coats your mouth with delight. The combination of all three textures is out of this world. The mixture of fresh squeezed orange juice, orange zest, and egg yolks left the curd with a dark yellow color. I could have colored it orange, but I felt as if the natural color was just as pretty. The toasted meringue compliments the color very well. My husband shared one of these puppies with his co-workers. I even got a compliment in person because of the pie. That’s saying something. I don’t think men just do that for mediocre pie, do they? Well, maybe they do, but I’m still sticking to my thinking. So, what I’m saying is that no matter what, in my head, I was crowned queen of making the best pie ever and had the paparazzi after me and my recipe. Keep dreaming, right? So, enough chit chat. It’s time to get down to business. In a large bowl, add the flour, salt, and shortening. Cut the shortening into the flour until the shortening is in very small pieces. In a measuring cup, measure out the milk and add the vinegar on top. The vinegar should dome on the top and not spill out. Let sit for 5 minutes. Add the milk into the flour mixture and continue to cut the mixture until everything is mixed thoroughly. Dust the work surface with flour and roll out the pie crust. Place the dough into your pie tin. Using your fork, poke several sets of holes into the dough. This will give the crust vent holes. Lay down a piece of tin foil and weight it down with beans, rice, or any other heavy oven-safe objects. Bake for 17-20 minutes or until golden brown. Let cool. In a saucepan, add the heavy cream and orange peels. Heat on medium until small bubbles form around the edges of the pan. Turn off heat and let steep for 15-20 minutes. In a small bowl, add the sugar, salt, and 1 T. cornstarch. Whisk until blended together. Strain the orange peels and add the heavy cream back into the saucepan with the sugar mixture. Heat on medium until the mixture comes to a boil. Turn the heat to low and let simmer for 4-5 minutes. In a separate bowl, place your 4 egg yolks in. After the cream has simmered, add a small amount of cream into the egg yolks and whisk immediately. This is tempering the yolks. Add the rest of the cream mixture and whisk until combined. Put the cream and yolk mixture back into the sauce pan. Turn the heat on medium. Add the orange juice, zest, and lemon juice and let it come back to a boil. Meanwhile, make a slurry with 3 T. cornstarch and 4 T. milk. When the cream comes up to a boil, add the slurry into the pan and whisk. Let it simmer for 5 minutes. The mixture will become thicker. Take it off the heat and add the 2 T. butter. Pour into a bowl, place plastic wrap on top of the curd making sure the plastic wrap is covering the surface of the curd. In a saucepan, add the water, 2 T. sugar, and cornstarch. Heat on low and stir constantly. When the liquid turns clear, remove from the heat. 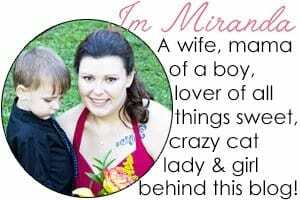 In a mixing bowl, whip the whites, salt, and cream of tartar. When the meringue comes up to soft peaks gradually add the vanilla and 6 T. sugar. Slowly add in the sugar/water mixture into the egg whites as the meringue comes to stiff peaks. In the baked pie crust, add the orange curd. Layer on the meringue in either spoonfuls or a piping bag fitted with a tip. 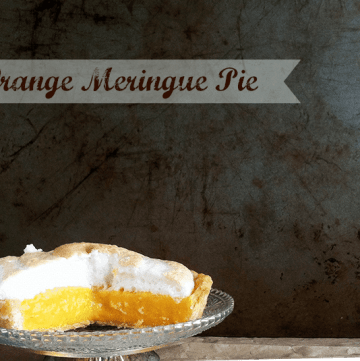 Once the meringue is designed how you want it, place in the oven. Let the meringue become golden brown. Keep a close watch on it while it's in the oven. Mine took 10-15 minutes. 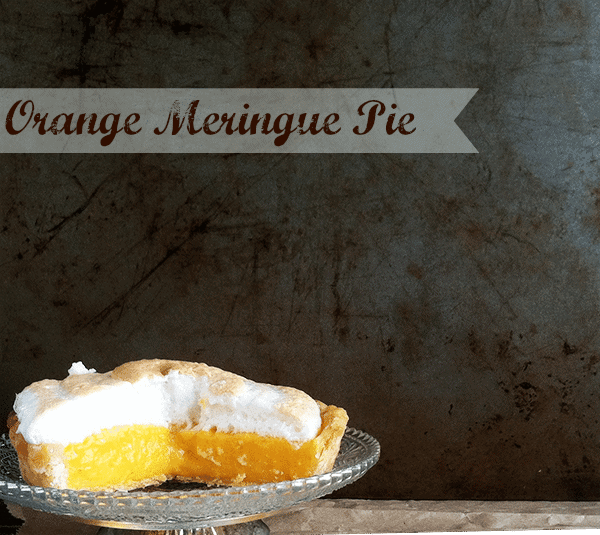 I hope you enjoy the Orange Meringue Pie! 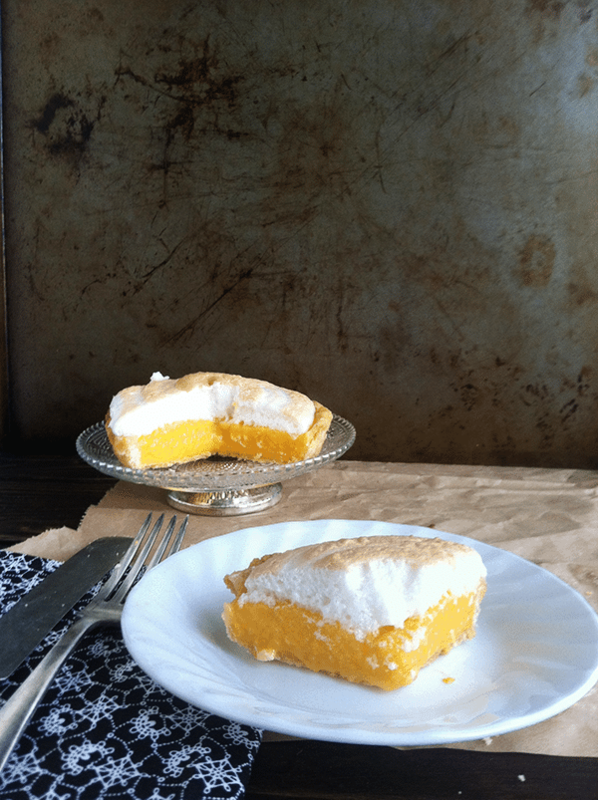 Orange meringue pie is such a great idea, it looks so yummy! I love the look of the sunny orange filling! This looks so yummy! I’m pinning it right now. Thank you for the comment! This was ahhmazingggg! I`m making it right now! Bust just wondering if it`s okay to let it sit over night or if I should wait with the merengue part till the day it`s gonna be served?